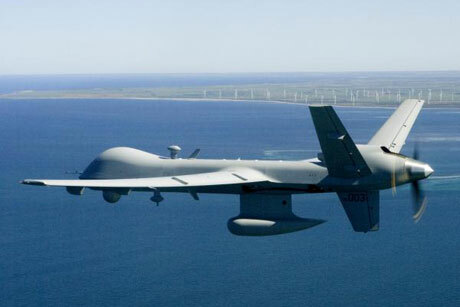 General Atomics Aeronautical Systems (GA-ASI) announced a partnership with Canadian software house OMX, in connection with that country’s joint unmanned surveillance and target acquisition system (Justas) requirement. GA-ASI is already teamed with simulation specialist CAE to offer the Predator B and/or Predator C Avenger to Canada. GA-ASI noted that over the past year, OMX has developed the largest amalgamated structured database in the Canadian defense, aerospace and security industry, with nearly 50,000 companies indexed. “Canadian companies interested in becoming suppliers to GA-ASI are encouraged to claim their complimentary company profiles on http://www.theomx.com and update their information, including Canadian content value (CCV) percentages per product,” the American company added. GA-ASI is potentially in competition with Elbit, IAI, Northrop Grumman and other UAV suppliers for the Justas requirement. However, the project has been deferred a number of times. Canada is seeking a high-altitude, long-endurance UAV for surveillance of its vast northern regions. But it is also seeking an armed, medium-altitude, long-endurance UAV for contingency deployments. The Canadian armed forces currently contract for IAI Heron and Insitu Scan Eagle operations. On the flipside, he must be also agile and quicker on his your feet. Many people confuse objectives of a training program with the outcomes of the possibility.